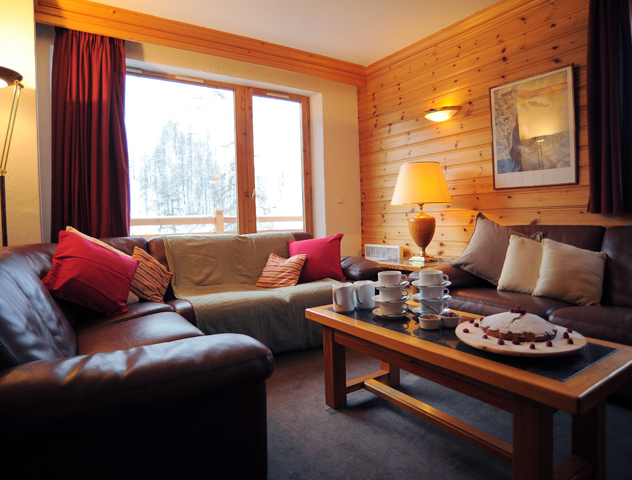 Chalet Claire is on the upper floor of the building with balconies off the living and dining area offering lovely views. 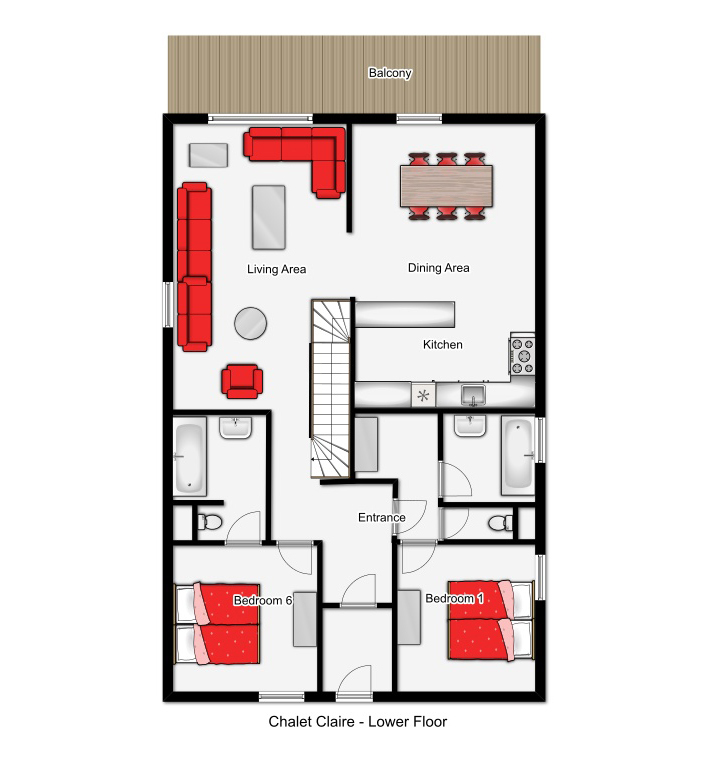 It is virtually identical to Chalet Sophie next door and has a cosy feel with character and warmth and is duplex in style split over an internal level with most of the bedrooms on the upper floor. 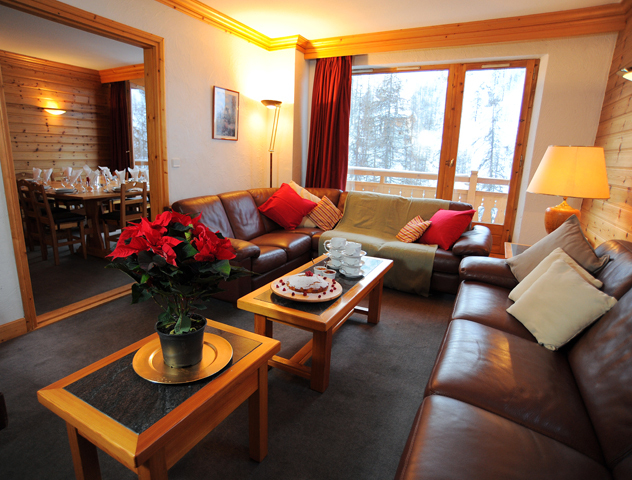 The living area has plenty of comfy seating with access to the balcony and lovely views over the Bellevarde. Fantastic ski location right beside the piste with a very gentle track leading straight to the main lifts so perfect for getting to ski school or for keen skiers you can be on first lifts within a minute of clicking on your skis. 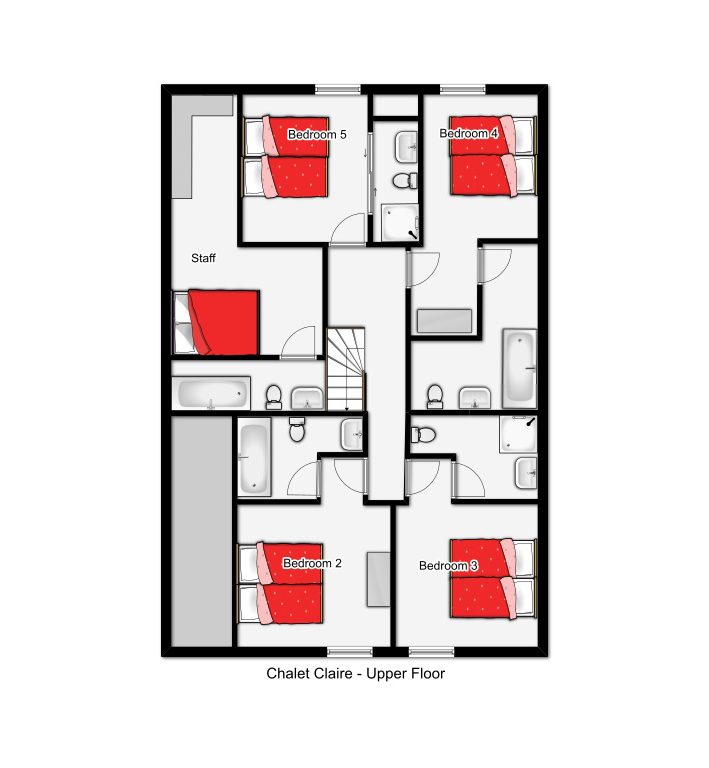 You can either ski back to the chalet or if you do take the bus, the stop is literally a few steps from the door. 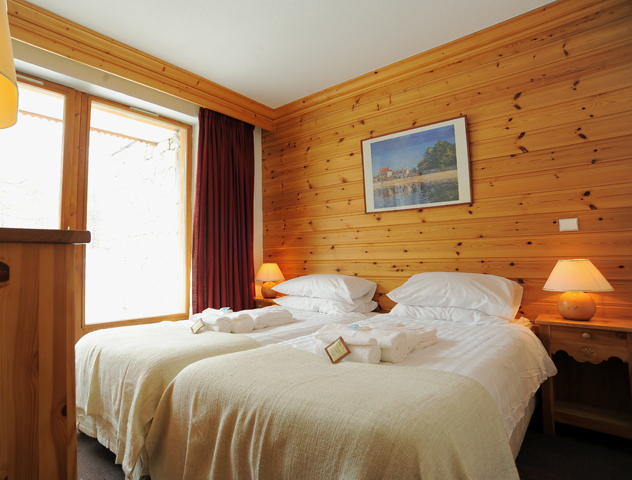 The resort centre can be easily accessed either walking across the nursery slopes in around 10 minutes or you can always take the local bus which runs every 15 minutes during the day connecting with the main resort buses which run constantly. 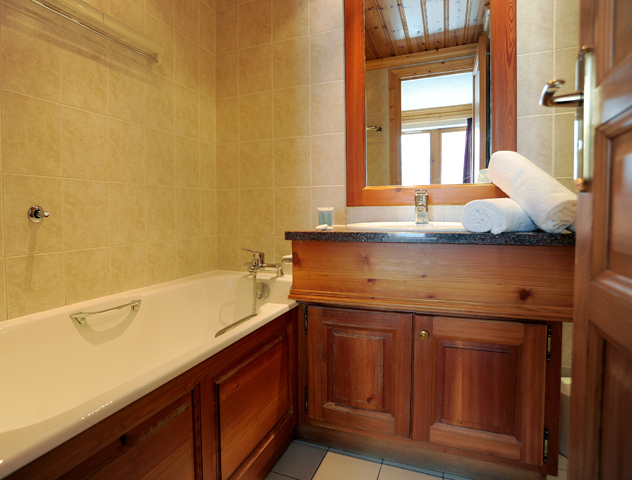 Room 4 - twin with ensuite bath & wc. 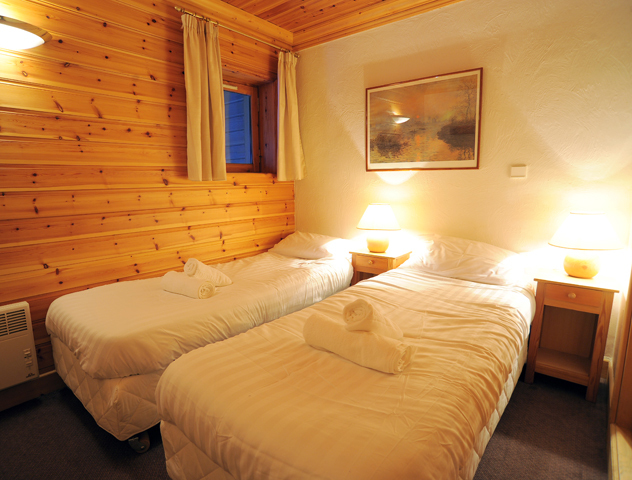 NB: though this chalet is available to individual bookings, we reserve the right to move you to one of the other chalet apartments within the residence should we have a group booking. 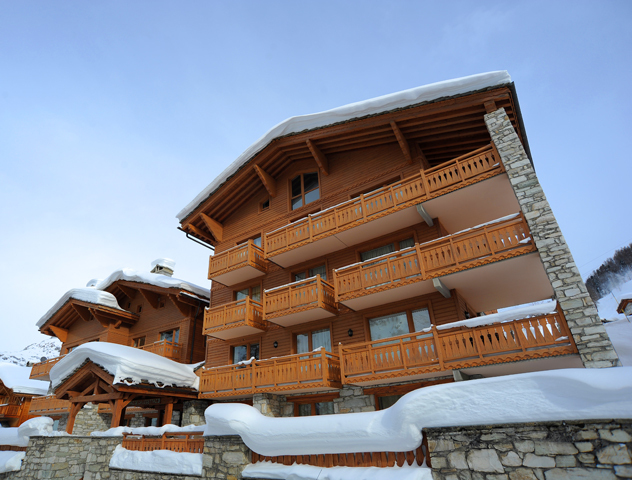 Val d'isère is justifiably ranked up there with the best resorts in the world. Lift linked with Tignes with which Val d'isère makes up L'Espace Killy, there are 300km of varied pistes to please everyone from beginners to pros. Expert skiers and snowboarders are particularly spoilt for choice in Val d'isère with the 1992 Olympic course, the 'Face', plenty of off-piste (remember to take a guide) and a world class snow park. Val d'isère has not only world class skiing but also boasts some world class après ski. The Folie Douce at the top of la Daille gondola is probably the most famous of Val d'isère's après haunts but is far from the only one. Restaurants on and off the mountain are pricey but good, which added to a good range of accommodation and lot's to do for the non-skiers makes it easy to see Val d'isère's attraction.